If you are participating in a baseball game in any way, then you may be familiar with baseball trading pins. Players, baseball fans, coaches, at every level love to trade baseball pins. Today, baseball trading pins provide a great way to get young people together. Players learn not only the value of hard work, but also the importance of being part of a team. 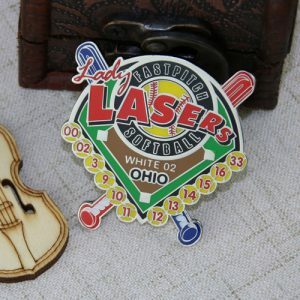 Baseball trading pins can be made any types of custom made pins you can think of. 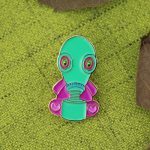 Each player in the team obtains a trading pin that they can either trade with their teammates or kids on the opposite team. Through this kind of trading, friendships get formed, some even for a lifetime. 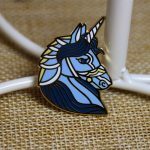 If you need custom pins, you have come to the right place! We have many years of experience in the production of custom trading pins. Please email us and let us assist you in finding the perfect custom design pin for you! To get the process started on your team trading pins Click Here to fill out our Free Quote on trading pins!